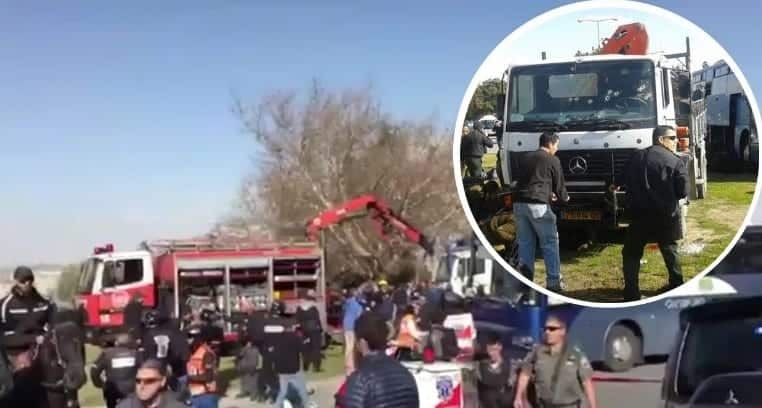 At least four people were killed and more than a dozen others were injured in a truck attack in Jerusalem on Sunday, Israeli officials said. A spokesperson for Israel’s foreign press described it as a “possible terrorist attack” which hit soldiers as they were getting off of a bus. The perpetrator was then shot. “He rammed them a number of times, going into reverse and forward in order to hurt more people,” a witness told Israel Radio. A similar attack occurred nearly a month ago in Berlin, when a Tunisian man who allegedly swore allegiance to ISIS rammed a truck into a crowd at a Christmas market, killing 12 people. This entry was posted on January 8th 2017 at 11:07am/11:07 and is filed under Live News Column 1, Politics, Terrorism, World News. You can follow any responses to this entry through the RSS 2.0 feed.